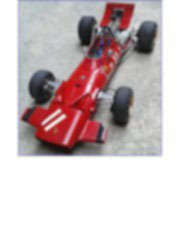 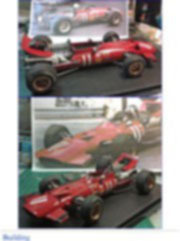 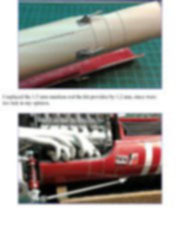 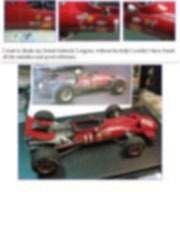 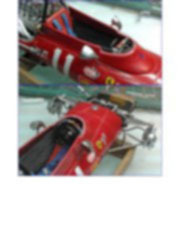 The model represents the Ferrari 312/69 (0019), drove by Chris Amon (NZ), Monaco 1969, 1st practice on Thursday, May 15th 1969. 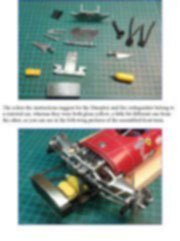 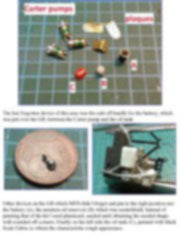 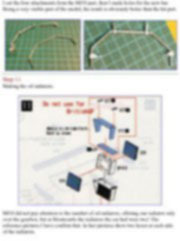 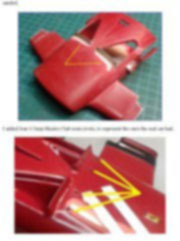 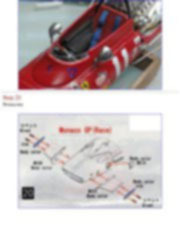 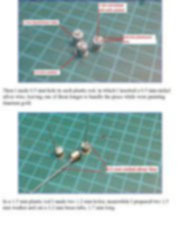 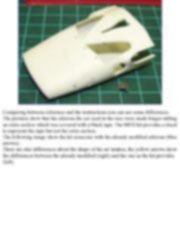 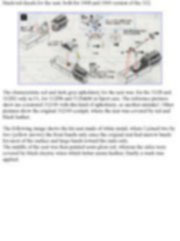 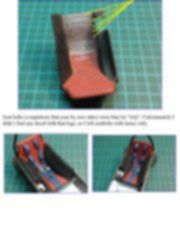 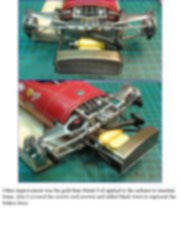 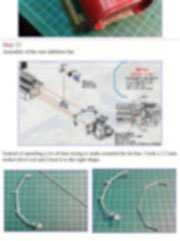 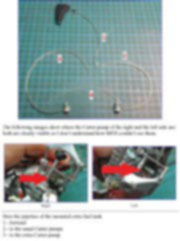 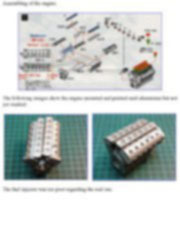 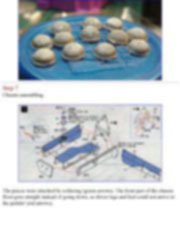 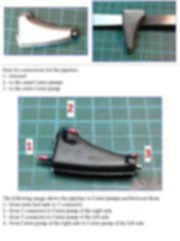 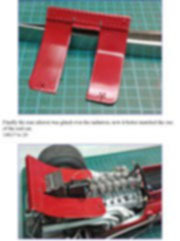 This article has been written following the kit Instructions, showing pictures of each step, and it aims to be a guide for others that want to follow the same way. 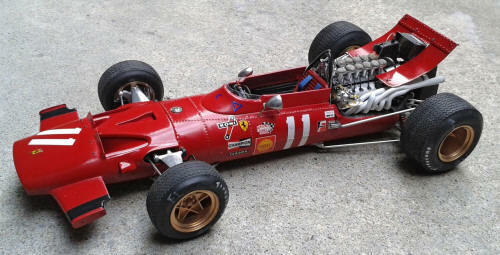 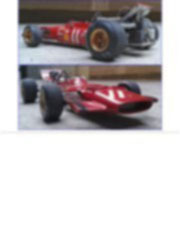 Ferrari started the 1969 F1 season in Kyalami (South Africa) with the 312/68 (0009) chassis. 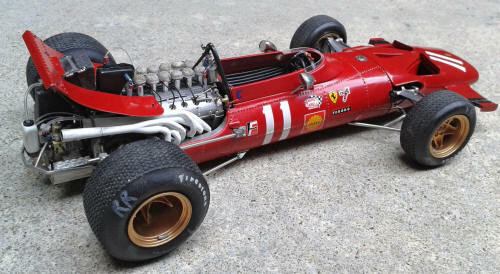 For the Spanish and Monaco GP, the new Ferrari 312/69 (0017, 0019) began to be used on the grid with Chris Amon at the wheel. 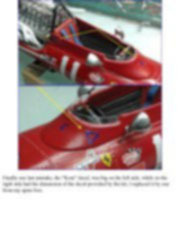 After the terrible accidents (broken wings) of Graham Hill and Jochen Rindt in their Lotus 49B in Spain, a delegation of FIA/CSI decided after the 1st practice in Monaco, that, the unrestricted use of high wings would be banned from all races. 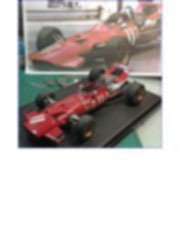 The model represents the Ferrari 312/69 (0019), drove by Chris Amon (NZ), Monaco 1969, 1st practice on Thursday, May 15th 1969. 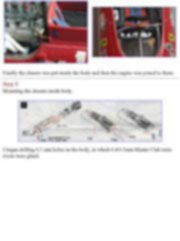 This article has been written following the kit Instructions, showing pictures of each step, and it aims to be a guide for others that want to follow the same way. 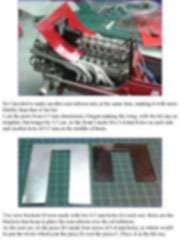 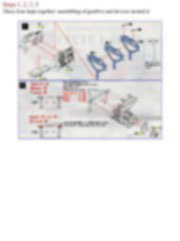 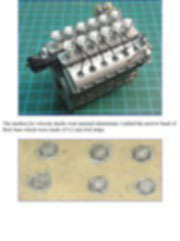 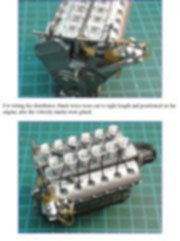 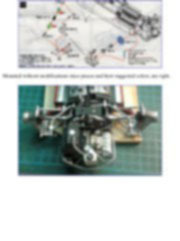 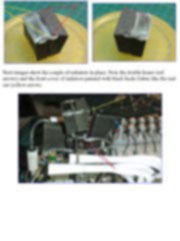 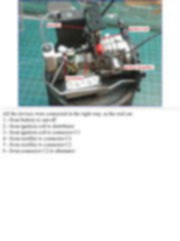 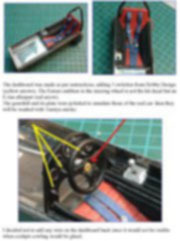 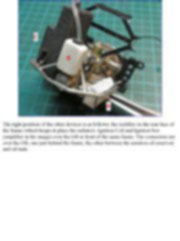 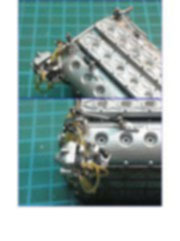 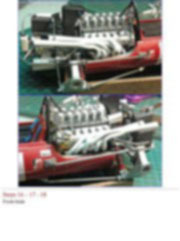 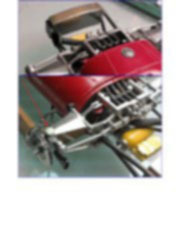 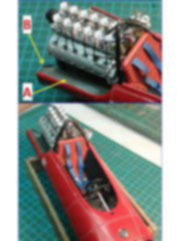 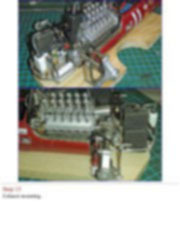 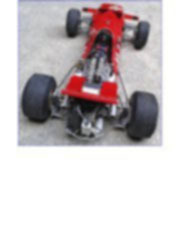 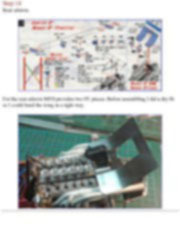 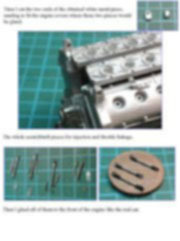 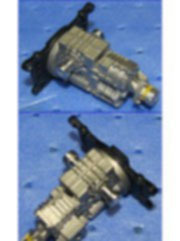 The mount of gearbox and frame, between it and engine, was done as per instructions. 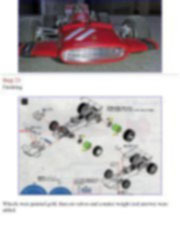 The suggested colors are right. 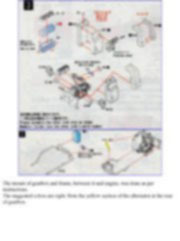 Note the yellow section of the alternator at the rear of gearbox. 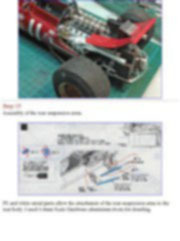 To represent with historic fidelity this area is difficult since the position of some devices were changed from the first day of practice, to the second day until the day of the race. 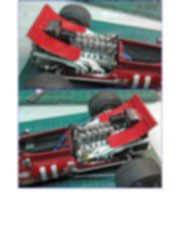 I spent much time studying the reference pictures of that time, and I want to make a special mention to my friend Gabriele Longoni, who helped me very much and without his help I couldn’t have completed the model. 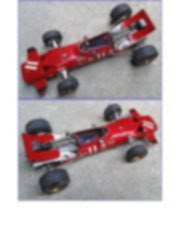 We think that MFH kit didn’t represent correctly the car in this area as it was the day of the Grand Prix (GP). 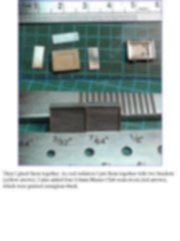 Moreover they didn’t make some devices, clearly visible in most of the pictures. 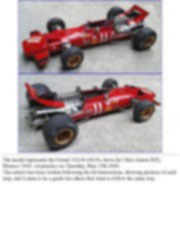 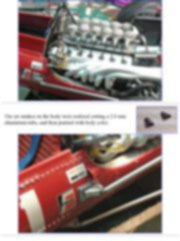 One of the main mistake is the lack of the Carter pumps: two of them were always present in every 1969 GP. 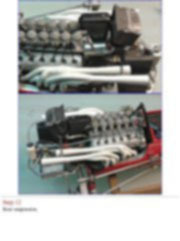 Moreover at Montecarlo, but for the race only, a third Carter pump was added. 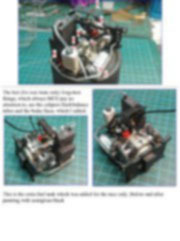 It was an electric pump which took fuel from tanks. 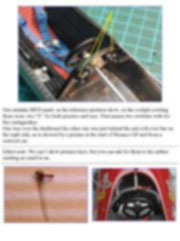 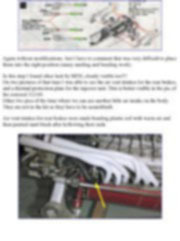 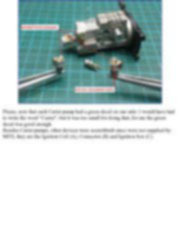 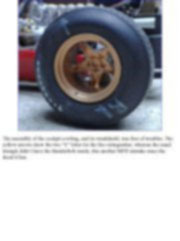 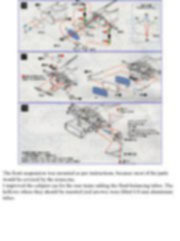 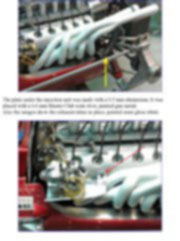 Editor note: Carter is a well known firm that manufactures oil and fuel pumps. 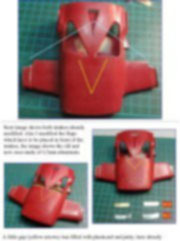 I scratchbuilt them and the process was as follows. 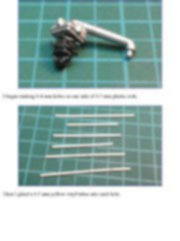 I took a 2 mm aluminium tube, making three pieces 0.5mm long, then the inside of the tube was filled up with plastic and putty. 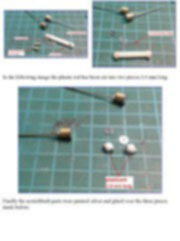 At one end I glued a 2.4 mm washer; at the other end I made two 0.8 mm holes to insert two 0.8 mm plastic rod. 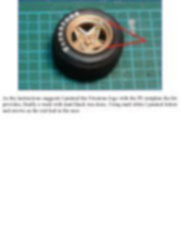 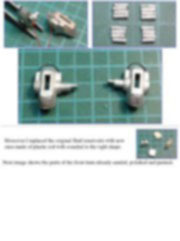 In the middle of this side I glued a 1mm bolt head with washer by Master Club. 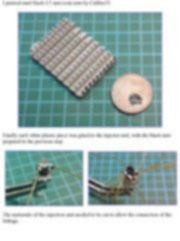 Then I made 0.5 mm hole in each plastic rod, in which I inserted a 0.5 mm nickel silver wire, leaving one of them longer to handle the piece while were painting titanium gold. 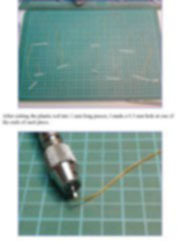 In a 1.5 mm plastic rod I made two 1.2 mm holes; meanwhile I prepared two 1.5 mm washer and cut a 1.2 mm brass tube, 1.7 mm long. 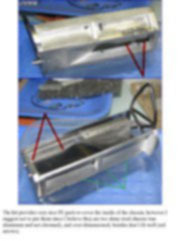 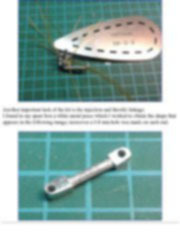 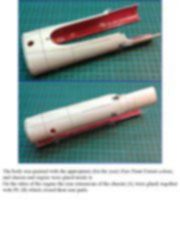 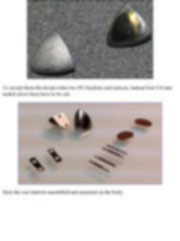 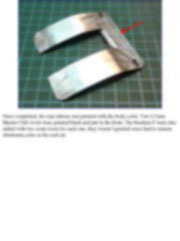 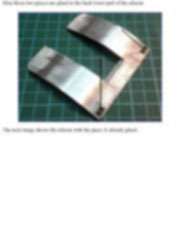 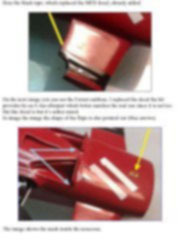 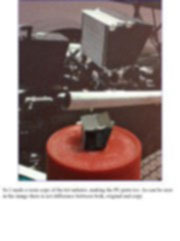 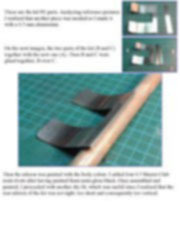 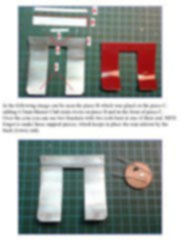 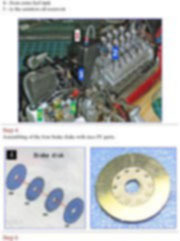 In the following image the plastic rod has been cut into two pieces 1.0 mm long. 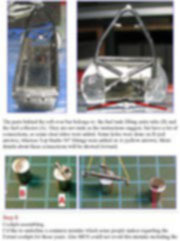 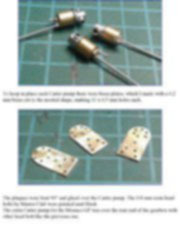 Finally the scratchbuilt parts were painted silver and glued over the three pieces made before. 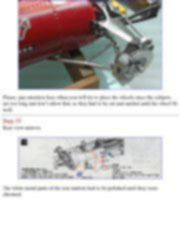 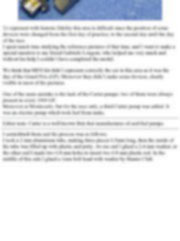 Includes more than 171 pics, here we show only the text pages. 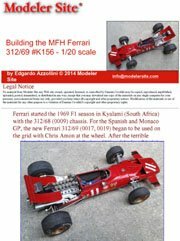 Incluye más de 171 imágenes, aquí solo mostramos las paginas de texto.